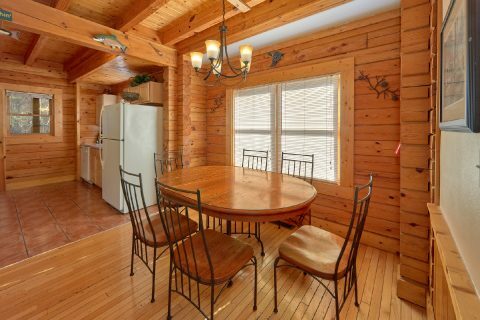 Looking for a Pigeon Forge cabin that's close to all the action? 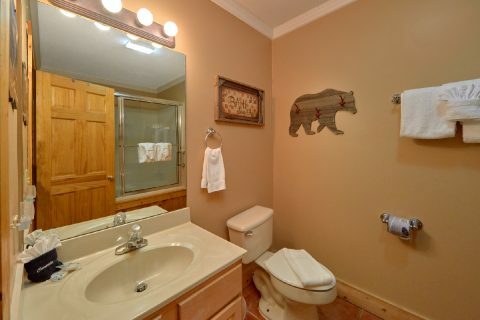 Look no further than "Growly Bear!" 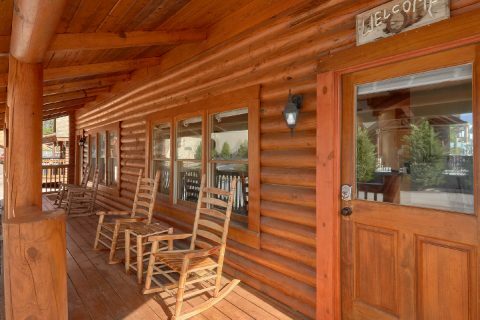 This conveniently located cabin is only one mile from the Pigeon Forge Parkway where you'll find top rated attractions like The island, Alcatraz East, and The Historic Old Mill. 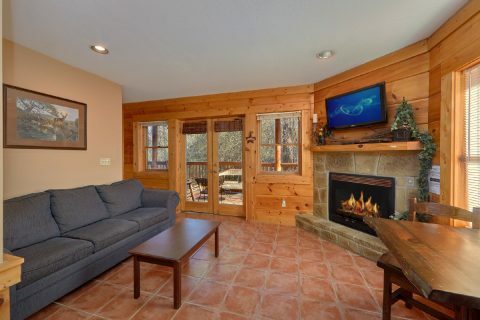 After a great day spent riding roller coasters at nearby Dollywood or an evening at a hilarious dinner show, you'll love returning to this cozy cabin duplex that's only minutes away! 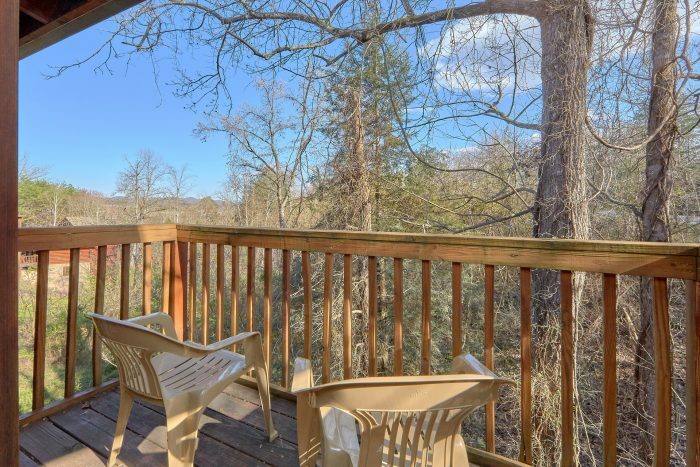 Since this cabin is located in the Big Bear Resort area of Pigeon Forge, guests of this rental will enjoy convenient Pigeon Forge Trolley Stop. 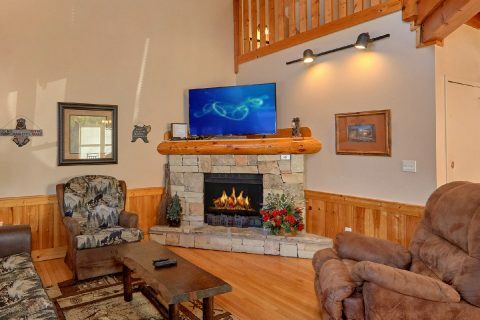 Additionally, this resort area provides guests with an indoor resort pool with a hot tub, an outdoor resort pool with a hot tub, an exercise room, and a game room. Better yet, the outdoor pool is just across the street from your rental, so you're only a short walk away from a refreshing swim! 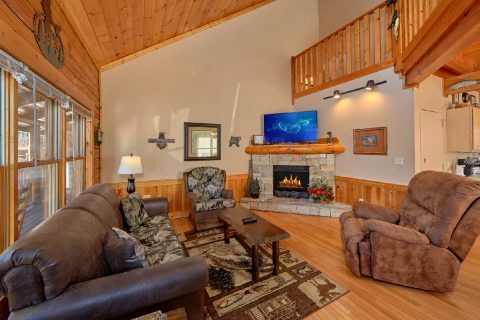 On the main level of this 2 bedroom cabin, you'll find a welcoming living area complete with a television, gas fireplace, and comfortable furnishings. 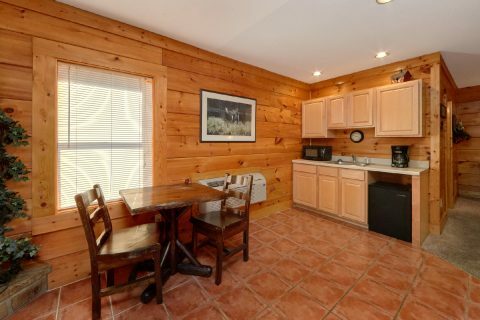 Nearby, the kitchen area and dining area have everything you need to prepare delicious dinners in the comfort of your rental. 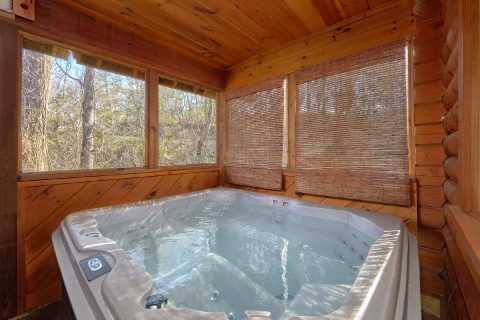 Out on your cabin's enclosed back deck, you can take a soothing dip in the hot tub to rest your weary bones. 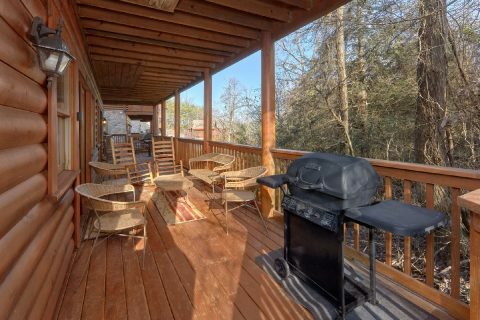 Additionally, you can always enjoy the fresh mountain air from the rocking chairs on the front porch and the back deck. 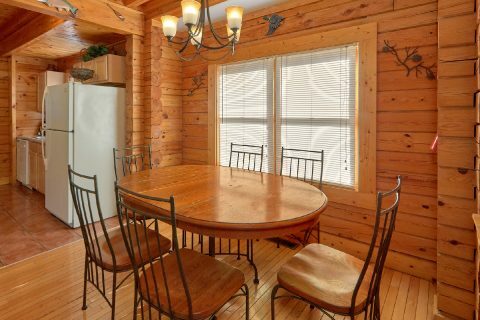 For staying well-rested during your trip, this cabin provides comfortable sleeping space for up to 9 guests. 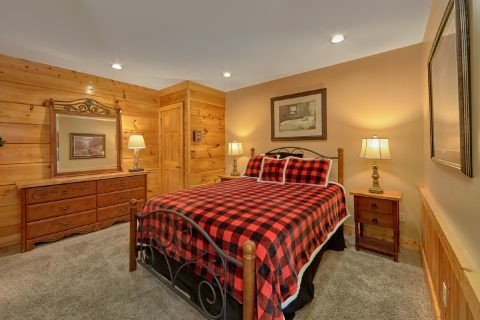 Upstairs, the luxurious king bedroom comes complete with a private bathroom and access to an upper level balcony. 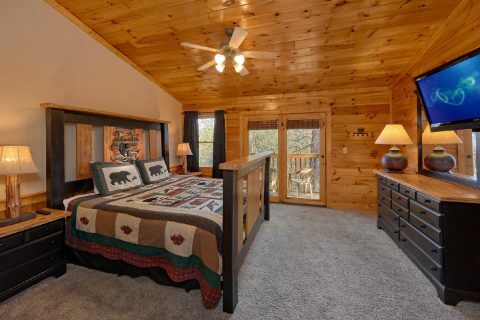 Nearby in the loft, you'll find a twin bed. 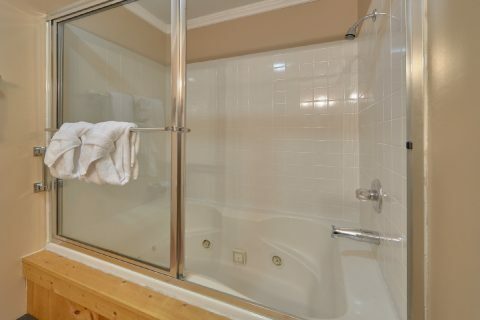 Downstairs, there's a queen size bedroom with a bathroom that comes complete with a jacuzzi tub for enjoying a relaxing soak in privacy. 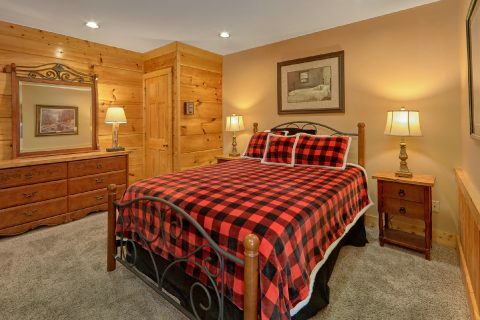 Lastly, this cabin provides 2 queen-size sleeper sofas. 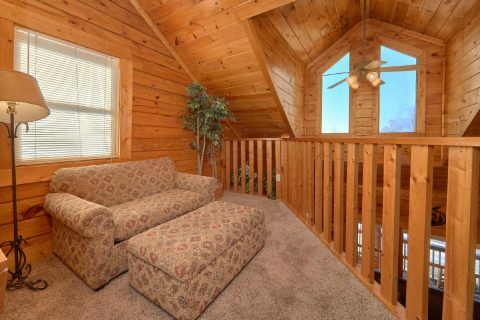 One is located in the main level living room while the other sleeper sofa is located in the lower level living room. 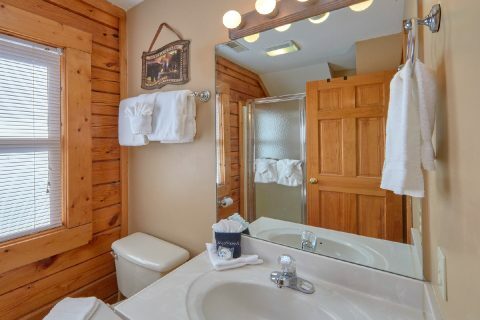 Better yet, "Growly Bear" features lots of practical amenities to make your stay truly pleasant. 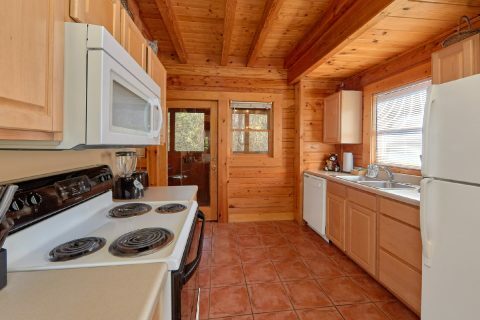 In the lower level living room, you can enjoy a 2nd gas fireplace and a wet bar complete with a mini-fridge and a microwave. 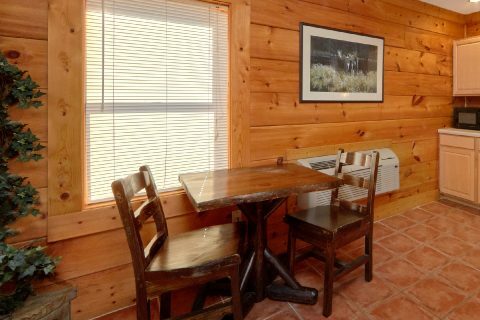 Additionally, this cabin provides WiFi Internet, a gas grill, and a washer & dryer for guests to use during their stay. 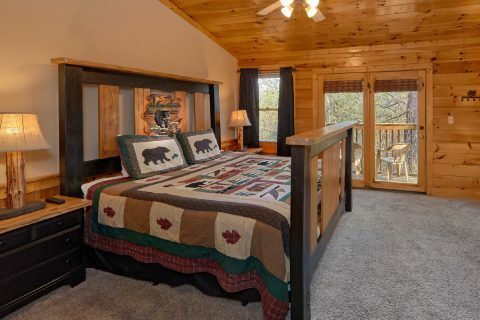 To plan a Pigeon Forge vacation that's close to all the action, book "Growly Bear" today to save 15% on your nightly rate in the Great Smoky Mountains of Tennessee!